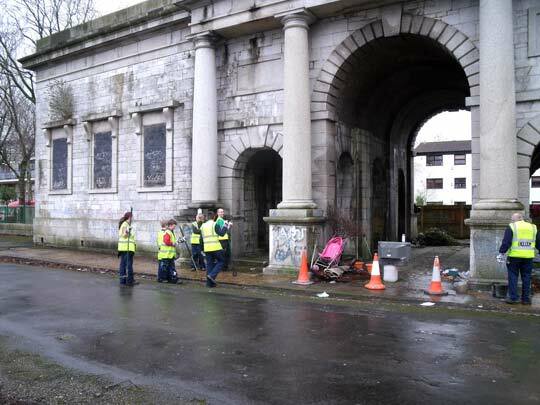 Pembroke Street youth volunteers cleaning rubbish and grafitti from Raglan Gatehouse. 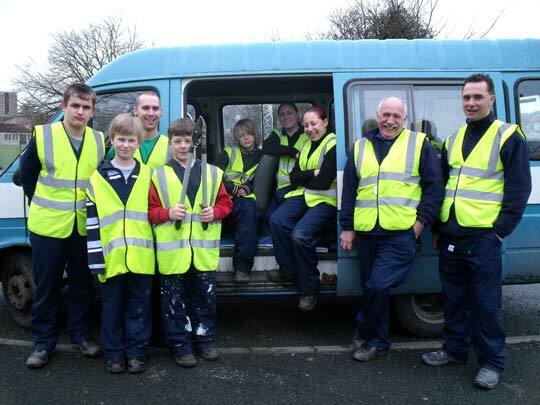 In February 2009 young volunteers from Pembroke Street took part in a project to learn about estate management; this was during their half-term holiday. 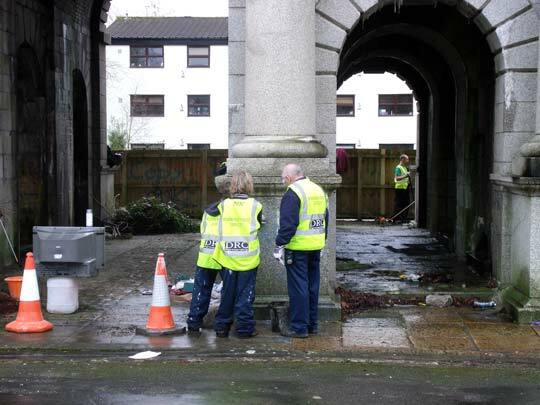 The project, funded by the Plymouth 2020 LSP Partnership Talents Fund, included a visit to the council's maintenance depot, a practical session learning plastering, and a day spent at Raglan Gatehouse cleaning-up after vandalism. 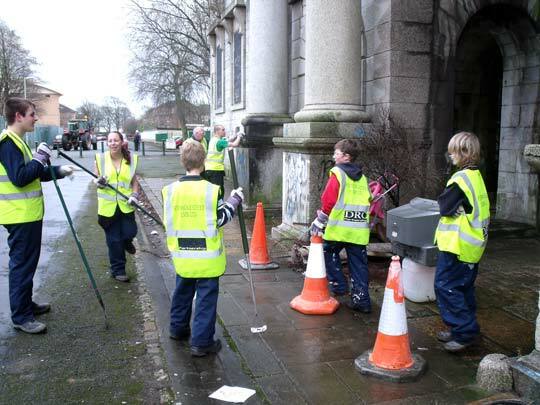 The clean-up session at Raglan gatehouse took place on 19th February. The main tasks being to clear the rubbish that had accumulated in and behind the building and removing grafitti from the walls. 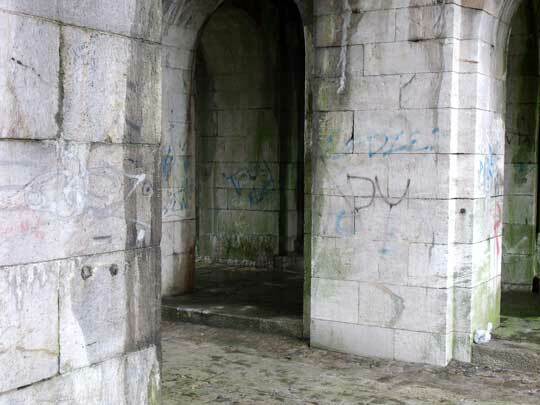 Since being vacated by the army, the gatehouse has been the constant target of vandalism; as fast as grafitti was removed over the years so it was quickly replaced, removing it has been an endless, thankless task. 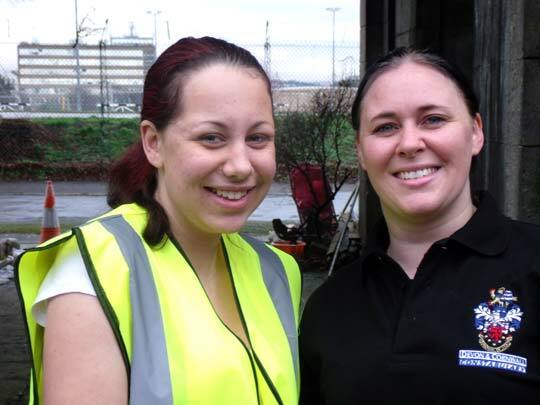 Pembroke Street volunteer Katie Brown with Tracie Bellerby, Police Community Support Officer. Police Community Support Officer Tracie Bellerby worked with the Pembroke Street team, helping to set an example and mucking in with the physical work. 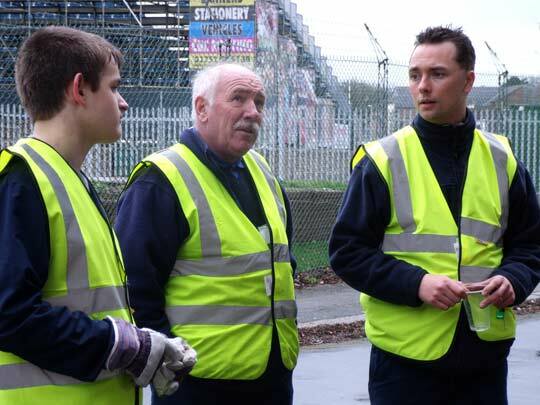 Also assisting with the clean-up attempt were Will Watts and Len Punter from the Pembroke Street Estate Management Board repair and maintenance service. Len Punter, centre, and Will Watts, right. 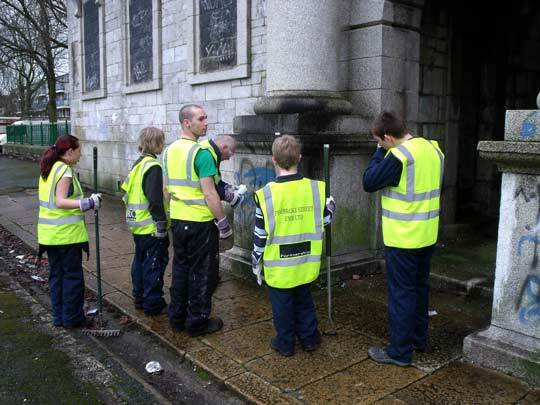 Pembroke Street youth volunteers tackling the grafitti. 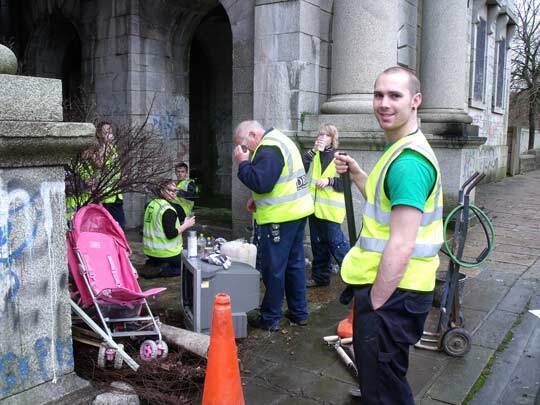 Pembroke Street youth volunteers 2. Pembroke Street youth volunteers 3. 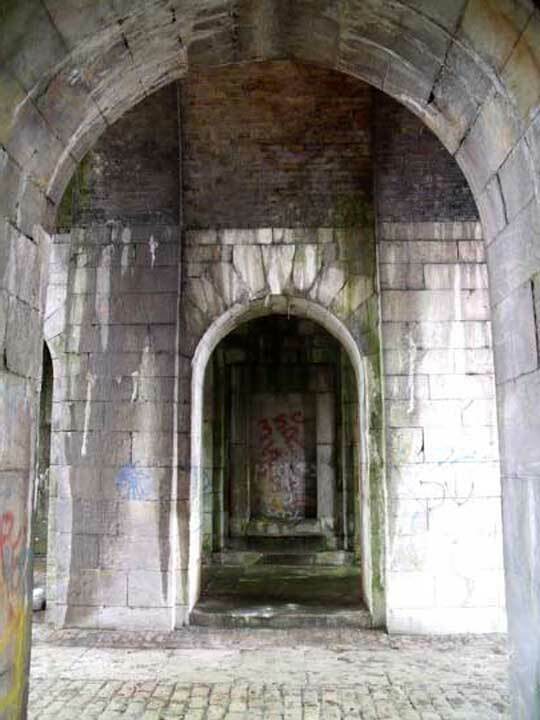 All the rubbish you see in these pictures was abandoned at the Gatehouse. Lunch over, ready for work again. Pictured from left to right are..
page uploaded 19 July 2011.